Panel Nine presents VerityFair Part 2: Pink Elephants, the second part of the acclaimed graphic novel from Terry Wiley. Pink Elephants follows on from Part 1: Custard Creams, and tells the story of Verity Bourneville, a 40-something semi-talented actress and full-time extrovert, in her quest for success and a good night’s sleep. 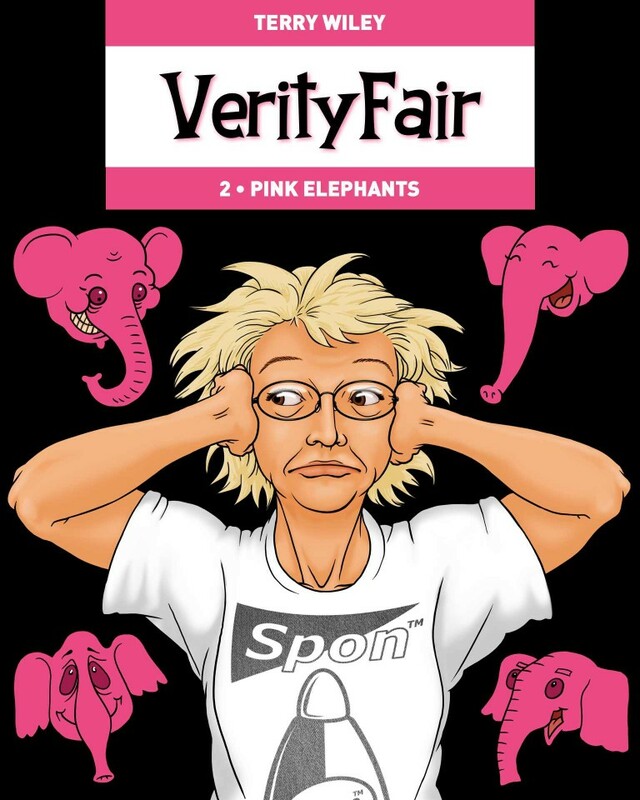 This book collects together almost 100 pages of comics comprising the whole of VerityFair Part 2 – originally published in print in three chapters. In Custard Creams we were introduced to happy-go-lucky middle-aged actress Verity Bourneville. Verity has been having enough trouble trying to find a decent part to pay the rent without also being plagued by a mysterious nightmare about her old deceased classmate Lucy Sherman. With the help of her on/off boyfriend Maurice ‘Mo Sevens’ and psychiatrist friend Doc Truck, she tries to get to the bottom of the mystery! Everything seems to be going OK until she receives a call from another old school friend, Una, breaking the news that Lucy has just died… but isn’t Lucy dead already? Only available digitally via SEQUENTIAL, this is an exclusive expanded version boasting a whole host of special features. 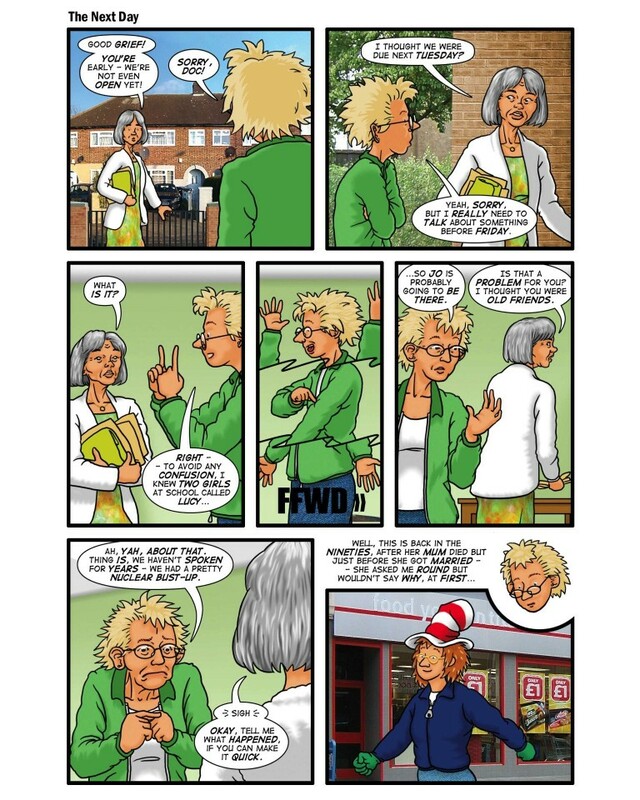 Almost every comics page has audio commentary recorded by Terry Wiley, and we’ve included a whole host of extras including sketches, artwork and stories.